JFFS offers many ways to get involved in the community. Whether you are interested in helping the elderly live independently and with dignity; providing nourishing food to individuals and families at risk; organizing community programs or events; fundraising or supporting the community here and in Israel in countless other ways, there is a volunteer opportunity waiting for you. Join us in our mission of tikkun olam, a Hebrew phrase that means “to heal the world”. Don't see what you are looking for? Contact us at Volunteer@JFFS.org about starting a new volunteer initiative! 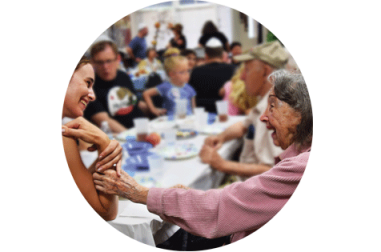 Bringing Holocaust survivors together with community volunteers who engage with them through the sharing of meals. Build relationships, strengthen community, and increase the survivors’ quality of life. 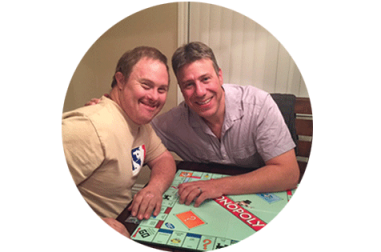 Fun and meaningful opportunities for volunteers to support our work with people with special needs. 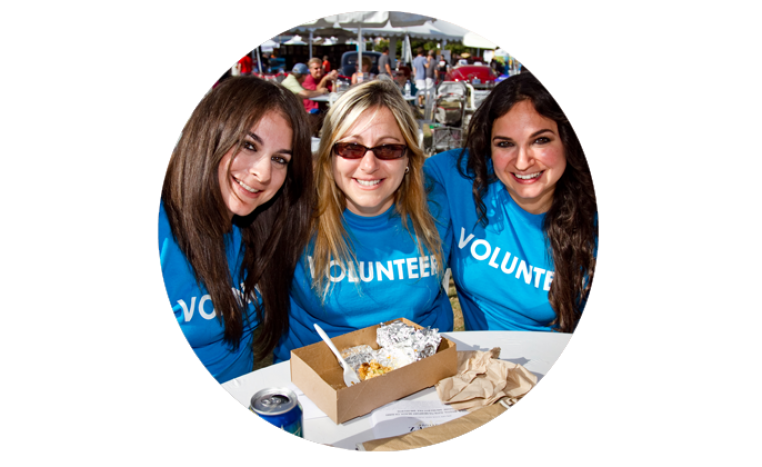 Join other young adults (21+) helping to make a difference in people’s lives through the mitzvah of tikkun olam by volunteering. It’s fun and makes a profound impact! Meet and become friends with a dynamic group of women who are doing important mitzvah projects throughout OC! There is no financial commitment to get involved.